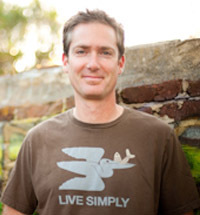 Dave Bruno is an author, speaker, and advocate for simple living, who instigated the 100 Thing Challenge movement, a simple-living project focused on helping average people break free from the constraints of excessive consumerism. In 2008, Bruno decided to winnow down everything he owned to merely 100 things in hopes of unhooking himself from the intravenous drip of consumerism that seemed to be fueling his life. As Bruno blogged about his personal challenge, media around the world started taking immediate notice of Bruno and the grass-roots movement he was starting. Time magazine said, "Bruno's online musings about his slow and steady purge have developed something of a cult following online, inspiring others to launch their own countdown to clutter-free living." As a sought-after keynote speaker, Bruno has brought his message of simple living in a personable and engaging way to audiences of 20 to 1,500 people. 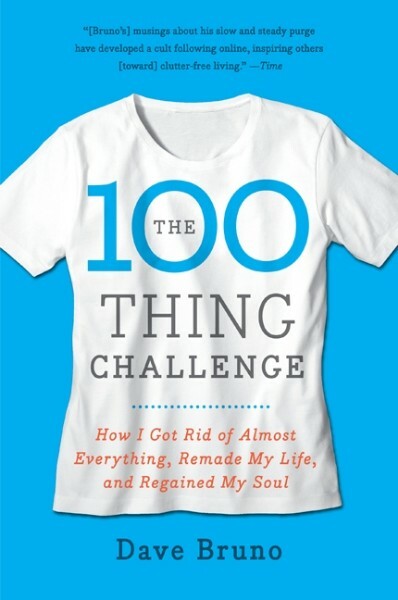 Bruno's book, The 100 Thing Challenge: How I Got Rid of Almost Everything, Remade My Life, and Regained My Soul (Harper), as well as his presentations, focus on how the culture of consumerism has created a rabble of Americans rushing to acquire ever more stuff, but without realizing any gain in life satisfaction. We're exhausted, stressed out, in debt up to our ears, and isolated, all while standing atop our big piles of stuff. In our heart of hearts, most of us just want to get away from it all, to get off the insane treadmill of consumerism that we know is killing us. The 100 Thing Challenge is like a loud shout over the racket of this chaotic mob, and is meant to be a cause for pause. Bruno offers compelling anecdotes and practical advice audiences can use to resist consumerism and live a more meaningful life. In addition to his own experience, Bruno shares the thoughts and experiences of others who are fighting consumerism in their lives, and describes in practical terms how an average person can resist consumerism in order to live in more spiritually and socially meaningful ways. Bruno's story of downsizing and pursuing what really matters in life is inspirational, funny, and highly practical. His remedy for people who feel "stuck in stuff" is easy to understand and obtain, which is why tens of thousands of people the world over have been motivated by Bruno's 100 Thing Challenge to take things into their own hands and simplify their lives. Before starting the 100 Thing Challenge, Bruno was an entrepreneur who co-founded ChristianAudio. The rise of ChristianAudio from a Starbucks napkin business plan to a leading publisher and online source of audiobooks is a real entrepreneur's tale. Bruno's primary role while with ChristianAudio was to manage and grow the company's web property. He also did quite a bit of brand development, marketing, and strategic partner relations. In 2008, he sold his position in the company in order to focus more attention on the 100 Thing Challenge. Bruno earned his masters degree from Wheaton College in American religious history. He lives with his wife and three daughters in San Diego, where they keep a simple home that they share with a few pets. "Living simply is only an ideal until someone like Bruno gets particular. The way he got particular should make everyone think hard, which is a very good thing." "In a loving, wise, sometimes hilarious manner, Dave Bruno holds a mirror up to us and says to take a closer look at how we're living. Reading this will lead you to a better life."